MANILA, April 27 - President Rodrigo Duterte on Thursday said he would not bring up the arbitral tribunal's decision during the ASEAN Summit because the West Philippine Sea ruling only involves the Philippines and China. 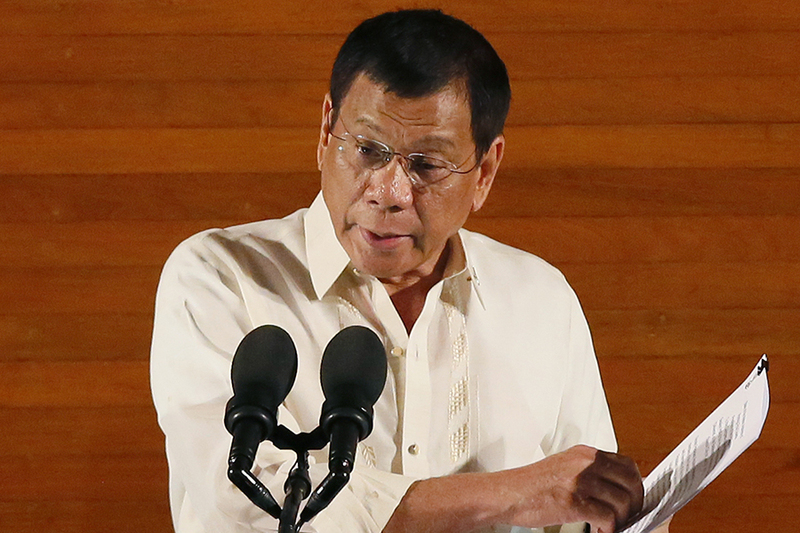 The President said that what he would bring up instead would be the Code of Conduct that ASEAN is pushing for. “I will skip the arbitral ruling. It is not an issue here in the ASEAN. Code of Conduct, maybe. But arbitral, it’s only between China and the Philippines,” Duterte said during a media interview in Malacañang following a joint statement with visiting Sultan Hassanal Bolkiah of Brunei. “It might be taken up pero we will not talk about sovereignty over what part of the islands there, I said because that is not an issue before the ASEAN Summit. What is at issue is the conduct of the parties in the use of the China Sea,” the President added. He stressed that the decision of The Hague validating the entitlements of the country in the West Philippine Sea is far different from the Code of Conduct. "The conduct of the sea, paggamit, okay. Pero ‘yung arbitral is far different. And I said, I’m not ready to do it. Not now," Duterte said. “It’s entitlement to the Philippines, as far as arbitral ruling is concerned. ‘Yung conduct sa sea, iba ‘yun. Iyong you are challenged, you are asked to be identified, you have to ask permission entering the air space when that’s…” he said. On the actual enforcement of the Permanent Court of Arbitration ruling, Duterte said that the best way to deal with China is to keep on "talking." "Punta ka roon, mag-ingay ka. Strong protest. Will they listen? China said he’s completely ignoring the arbitral. So what more can you ask of it? Make noise? For what?" he said.